Meaning of name: The meaning of Babingtonia is not known. Camphorosmae is from the Latin camphora, referring to camphor, and the Greek osme, meaning smell, scent. 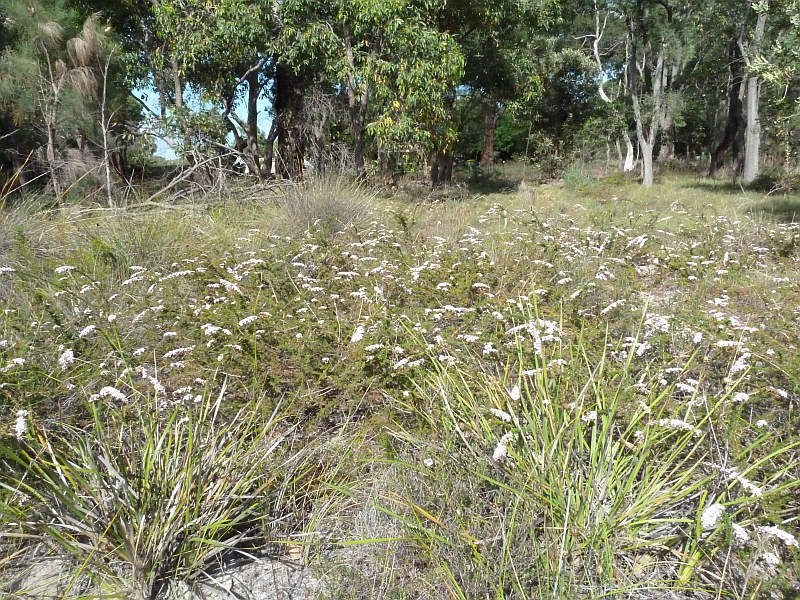 Aboriginal use: After being prepared in the appropriate manner, the leaves were used to treat skin conditions, headaches and upset stomachs. 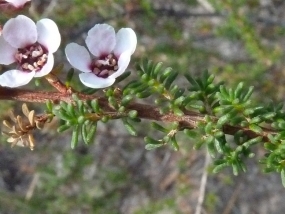 The flowers, leaves and stems were used to treat skin conditions. 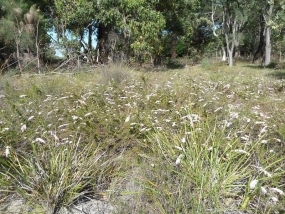 Distribution: Occurs from Eneabba to Albany. 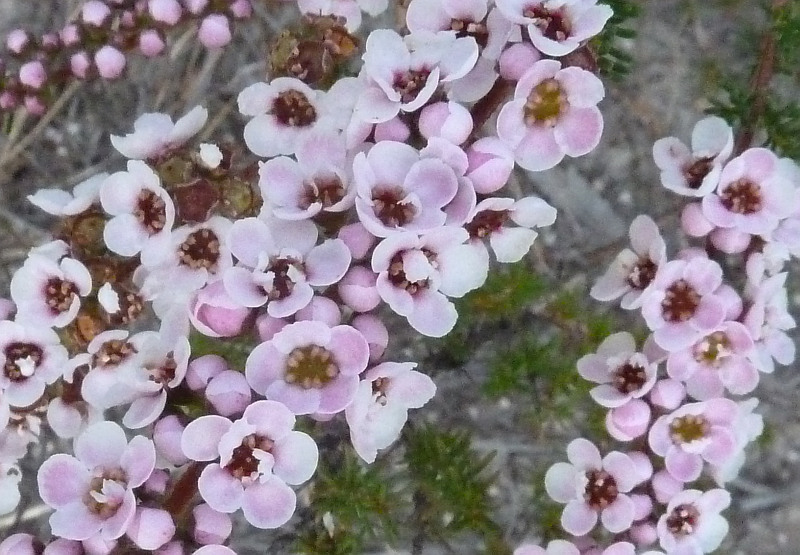 Remarks: A low spreading shrub to 50 centimetres tall. 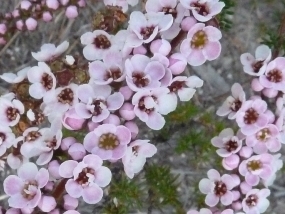 The white to pink flowers are produced from July to February. 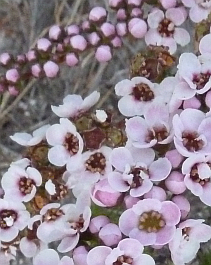 This plant was previously known as Baeckea camphorosmae.